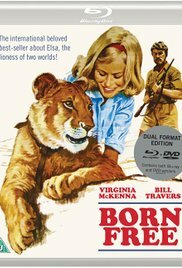 Born Free, one of the most successful British films of the 1960s has just been released on Blu-Ray. Acclaimed for capturing the true stories of Joy and George Adamson, Kenya-based naturalists from the UK who raised a lioness from cub to fully grown maturity before eventually managing to release her back to the wild, the story is a passionate tale of belief and commitment. The movie is remarkable, even more so viewed from the prism of 2017, some 50 years after its release. James Hill’s photography of lions in the Serengeti is, for the most part, breathtaking in its un-retouched honesty. There's no CGI here and neither is the treatment Disney-fied. The film’s opening shot is of lions feeding on the carcass of a freshly killed zebra. 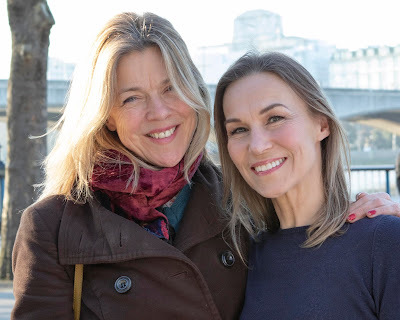 While the film's sexual and racial politics were very much of their time and aside from the excellent if dated performances from Virginia McKenna and Bill Travers as the Adamsons and Hill’s gorgeous imagery, it was Born Free's double Oscar-winning title-song and score that were to seal its place in the pantheon. It was Don Black who penned the winning lyrics and he recently spoke to me about the number. "Before the movie was released, Carl Foreman [credited as a "presenter" but in truth one of Born Free's producers] wasn’t impressed with John Barry's writing, describing it as too syrupy. Foreman also had little love for my lyrics that had been recorded for the film by Matt Monroe and demanded that the song be cut from the final print before the movie’s release. However.... over in the States Roger Williams had released Born Free as a single where it topped the Billboard charts for 6 weeks. The song’s popularity prompted Foreman and co. to re-instate Monroe's version over the end credits, allowing the song (in addition to the already qualifying score) to be considered by the Academy. After I'd received the Oscar from Dean Martin, later that evening at the after-party, Foreman begrudgingly admitted that the song "grows on you"." Born Free is a beautiful piece of musical and cinematic history and if you haven’t already seen it, go grab the Blu-Ray and enjoy.